Update on the photo from the owners: We’ve owned and raced our J24 on Lake Dillon for almost 25 years. 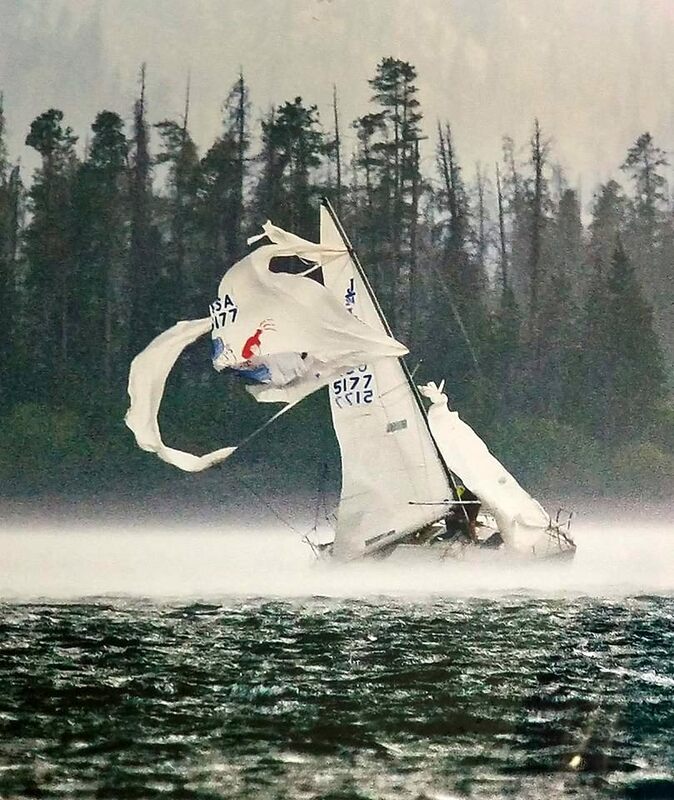 After just rounding the weather mark close to shore in a race, a microburst hit the water with almost no warning producing rain, some hail, and a lot of wind. The gust produced a bit of a shift, loading the boat up and of course it spun out even when both sails were depowered fully, leading to some carnage. Everone was fine and luckily it was an older chute. When you sail on a high altitude mountain lake you see some wild conditions. This was a big example of that on Lake Dillon. Great caption on the site that day, pretty funny to see!